From its earliest incarnations as a one-room schoolhouse, GHS has kept its commitment to the three founding principles that guide the ongoing excellence of our program; small class sizes, character education and parent involvement. Our goal is to cultivate students who are prepared to excel in the most competitive public and private high school environments and, ultimately, who are well-rounded individuals who enjoy a lifetime of learning and service. 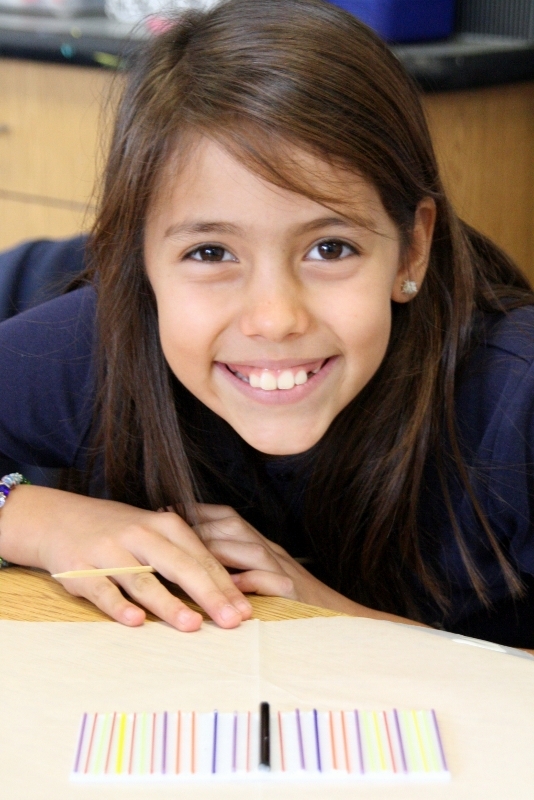 Small class sizes support differentiated instruction, a safe environment and academic excellence. Through attention to each student’s individual needs, GHS encourages every child to achieve his or her personal best. In the early elementary years student learning is characterized by a hands-on, experiential approach with subject areas of learning integrated together to provide meaning and context to information and skill building. A commitment to the early acquisition of the fundemental learning skills of reading, writing, mathematics, technology and public speaking skills allow students in the later elementary years to develop the capacity, confidence and enthusiasm to grow as independent learners, develop their critical and creative thinking skills and then be prepared to take an active role in their education in middle school and beyond. In addition to the academic program, an important component of the GHS education includes exposure to various enrichment courses. All K-8 students study Spanish, computer and physical education. Elementary students take art and music, and middle school electives include art, band, drama/speech, and leadership. All students have the opportunity to participate in one drama production each year. Character education is a vital part of the GHS curriculum, and the GHS "Characters of Gold" Program is epitomized by the Golden Wheel of Character. 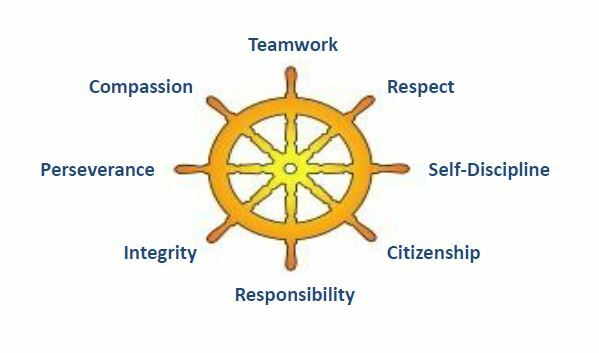 The Wheel describes eight fundamental principles of exemplary character: Respect, Responsibility, Integrity, Teamwork, Perseverance, Self-Discipline, Compassion and Citizenship. While character education is a fundamental part of the classroom culture, a dedicated period has been set aside weekly for students to gather across grade levels in small groups to focus on the trait of the month and how it might be applied in their daily lives. Behavior expectations for all members of our community are derived directly from these important principles. GHS actively cultivates in every student a sense of service to others. Through our program, all students have an opportunity to meet a continuum of critical needs on a local, national, and global scale. While maintaining modified programming for individual student needs, the overall school curriculum focuses on preparing students for advanced placement courses in public high school or entrance into private high school. To ensure proper alignment between our curriculum and the state standardized test, we have adopted the State of California’s Curriculum Standards. Our Technology education follows the National Educational Technology Standards Project. It is our goal at Golden Hills School to match the curriculum to the particular level of each child. Our structure enables us to challenge students at varying ability levels. While we don’t believe in pushing children beyond their natural abilities, if a student is ready for knowledge, he/she should be given the opportunity to progress at his/her own pace. If a student is functioning above his/her grade level, we will advance him/her to the appropriate level. If a student needs additional help in a particular area, our small class sizes and ability-level grouping enables that student to receive the instruction he or she needs in an environment that promotes self-confidence. 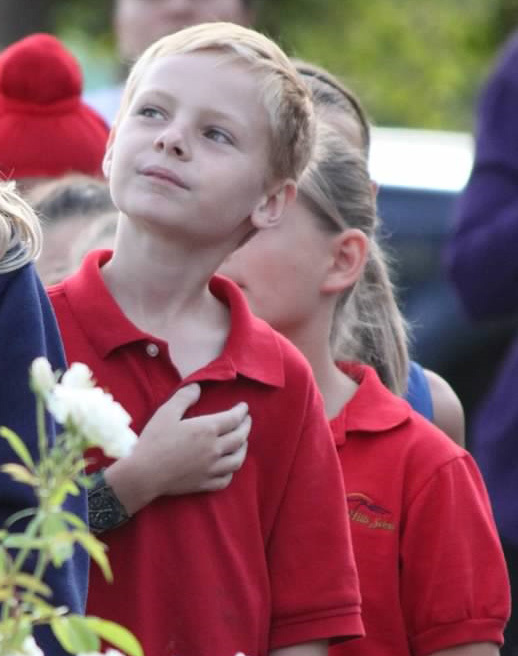 The GHS Student Pledge is memorized and recited every morning by all students directly after the Pledge of Alliegance. It is a daily reminder to all students of why they are in school and of what their role is in the educational process. "I pledge, as a student of Golden Hills School, to strive toward excellence in my scholastic performance, my school attendance, and my behavior. I will work diligently each day toward reaching my goals. I deserve and will only accept from myself and others the very best education possible. Excellence is my goal!" GHS believes that homework is a necessary part of a student’s educational process. Students are expected to develop good work and study habits. Homework will be assigned to practice skills already learned in class. Repetitive practice leads to mastery in such areas as math facts and spelling. Other assignments will give the student an opportunity to enrich his/her classroom experience. These assignments will be given only after students have been given adequate instruction in class. This time includes 10 to 30 minutes for daily independent reading for elementary students. This does not include long-term projects or studying for tests. Kim Easter and Michaela Adams of Learning Works, Inc., www.learningworksinc.org, have these tips for parents about homework. Homework Definition: Homework is designed to provide repetition, practice of skills already learned in class. Goal for Parents: To have an independent, sustained, focused effort where students take responsibility for starting and completing the assigned homework. In Jr. K – 2nd grade: Parents should help children learn organization skills. From 3rd grade on: Students should be initiating and completing homework on their own. Have a consistent and dedicated room or space w/o distractions. Make sure they have all the supplies/items they need (3 sharpened pencils, erasers, paper, crayons/colored pencils, ruler, etc. ), but not things they don’t need (pencil sharpener or other distractions). Have a consistent “homework” time each day. In addition to students blocking out the time in their agendas/planners, parents should mark it -ut on their own planners/family calendar so no activities are scheduled during that time. Having a routine is critical. Parents should not hover nearby, but go about their own activities. Let students come to the parents with 2-3 questions/asks only (to encourage problem solving and limit need for parental involvement). Encourage them to ask specific questions of you. Not "I can’t do this, I don’t know what to do, tell me what to do." 3rd grade and up: Let them start and do homework as independently as possible. Do sporatic homework checks. Be a cheerleader for them. “Re-do” if quality isn’t there. Teach slow and neat is better. “Rushers” -- Kids who rush through and lack neatness or completion, or kids who are easily distracted. Encourage them to take their time and do nice work. Parents should check for neatness, completion and have them “Re-do” if not. For fidgety kids, consider having them sit on a stool or large exercise ball. (chairs with arms lead to slouching, relaxation). Time management is big here. Use a timer to encourage quick start and effective time. If it takes 20 minutes for the student to start their homework, when they need help/something else, make them wait 20 minutes until you are available to help them “feel” time. Keep Teachers Involved: If homework is difficult or takes too much time, the teacher needs to know. Maybe others in the class had difficulty too and the teacher needs to reinforce or teach the concept another way. Also, teachers want to see “effort”, not necessarily completion of homework, so have students send it in even if not done (let the teacher deal with any consequences, not the parent).